Short of an actual apocalypse (which should be coming any day now), this Nerf-branded gun from Hasbro is (thankfully) probably the closest you’re going to come to any real life Fortnite action in the near future. The dart-firing gun was announced recently, alongside a Fortnite version of Monopoly (which launched earlier this month), and now we’ve got some pictures and a June 1 release date. 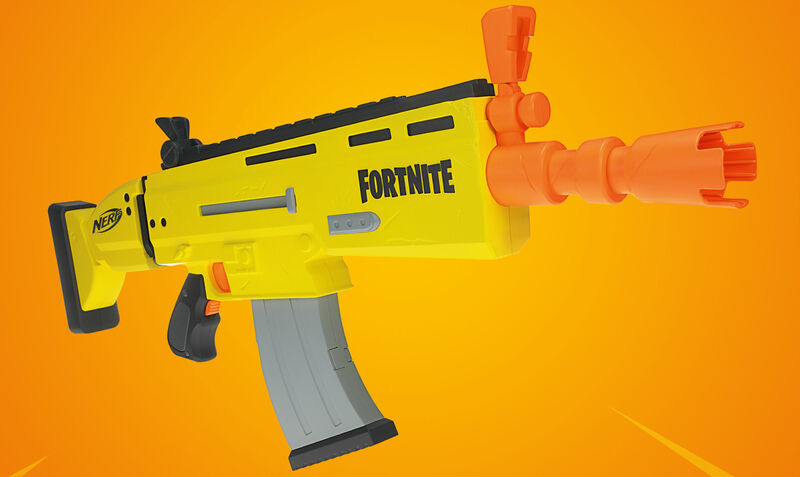 The AR-L Blaster was inspired by the firearm in the wildly popular sandbox survival game and has the giant Fortnite branding across its body to provide it. The gun has a 10-dart clip, flip-up sight and runs on 4 AA batteries. It’s priced at $50 USD — V-Bucks not accepted, apparently. It’s set to be the first of a series of Nerf blasters inspired by the game, according to Hasbro.